Conversations is literaly and metaphorically a performance in and out of dialogues between a choreographer and a performer, between performers and audience, and amongst performers themselves. As a result, it is a performance of quietude and poetry, immediately reflecting on the idiosyncrasy of each individual performer in the present. This performance was presented as a part of Performance Lab Nairobi #7, a collaborative platform of contemporary creation by GáaraProjects under the artistic direction by Opiyo Okach. 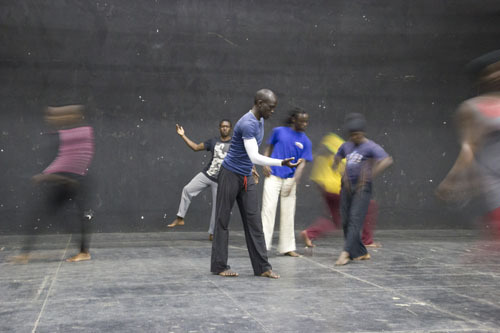 Performance Lab #7 is generously supported by GáaraProjects, MAPP International Productions/Africa Arts Consortium, Institute Français, and GoDown Arts Centre.